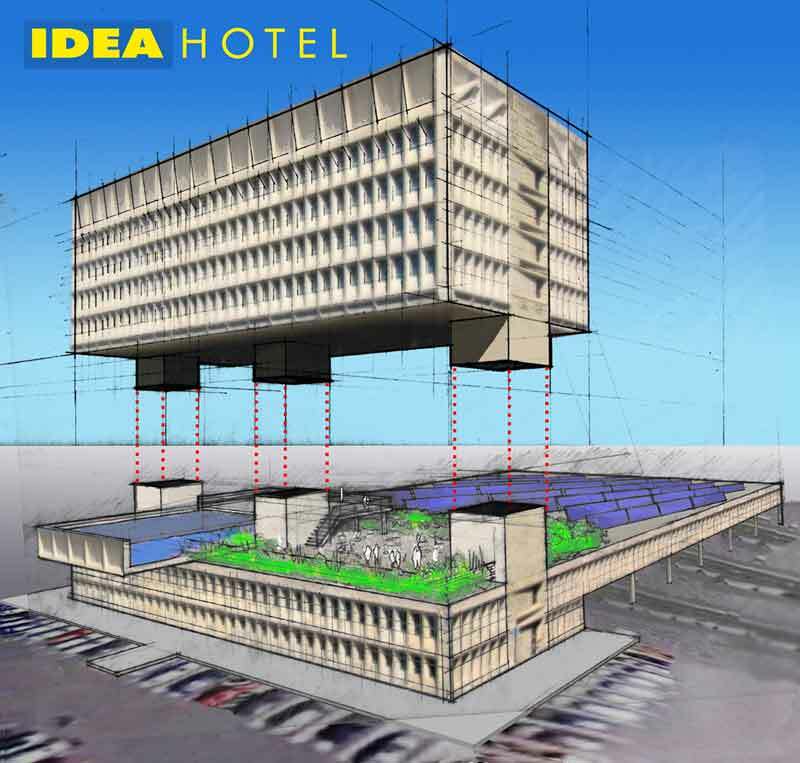 The IDEA Hotel is an adaptive reuse of the 1969 Marcel Breuer Pirelli Building located in New Haven Connecticut. The iconic concrete building that serves as the gateway to New Haven lost much of its dynamism when it was partially demolished to provide parking for the owner, IKEA, with its adjacent retail big box store. The IDEA Hotel is to serve the local community by providing office space for designers and conference spaces on the two-story lower floors, and a stylish destination hotel within the elevated upper floors. The demolished wing of the lower floors will be reconstructed as a shading structure over the parking area, with planted trellises and solar arrays to screen the view from the upper floors and to recreate the lost dynamism of the original Breuer composition.